Train for a Career as a Dental Assistant - Open House! Home / News / Open House! Train for a career as a Dental Assistant! Have you ever thought about training for a career as a dental assistant? Interfaith offers an exciting new eight-month training program. 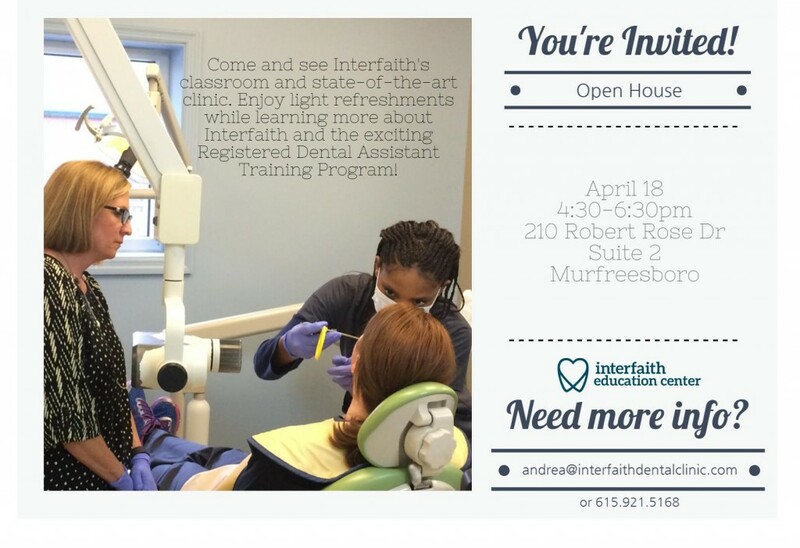 Join us for an Open House to see Interfaith’s classroom and state-of-the-art clinic. Want to learn more about our program before the Open House? You can read all about the program on our Dental Assistant Program page. Or you can visit our Interfaith Education Center Dental Assistant Program Facebook page. If you have questions, please let us know! You can reach out to educate@interfaithdentalclinic.com anytime!